Gilman unveils the new InTronix Spindle, the newest and most versatile addition to the company’s product line to date. The InTronix combines the affordability of a belt-driven spindle with the compact size of a motorized spindle without compromising precision. The InTronix’s smaller size leaves a smaller footprint as it reduces the overall size and weight of any given machine. In addition, the InTronix direct couples with any motor, allowing companies to more easily incorporate the spindle into a new build at a more affordable rate. These space-saving characteristics also benefit machines that simply have limited room for components. 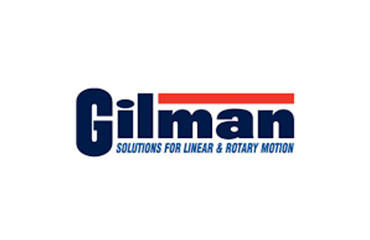 The new InTronix Spindle reaffirms Gilman’s place as a leader in customization for rotary motion capabilities. Gilman Precision develops customized slides and spindles for value-minded engineers with exacting needs and standards and provides expert service for virtually any manufacturer’s equipment. Serving a variety of industries and applications, these engineered solutions are advanced by a highly skilled, knowledgeable and experienced team that delivers on-time and within budget. For more information, visit www.gilmanprecision.com.